Are you a budding photographer who wants something that is far out and able to help you achieve the next level in your photo shoots? Or are you already a seasoned professional who is looking for yet another piece of equipment to assist you in maintaining your position at the echelon of your industry? 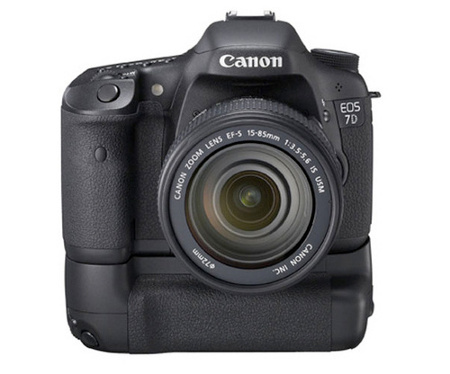 The Canon EOS 7D Studio Version will definitely appeal most to wedding and portrait photographers not to mention professional school and event photographers, where it comes with four levels of “locking” camera controls for studio environments. Not only that, the new EOS 7D Studio Version is also accompanied by the announcement of a Canon Barcode Solution that will link customer data directly with the image file in order for it to be maintained through the whole workflow process, making it perfect for school photographers, forensic and medical photo workflows. Administrators can disable unwanted features and settings in the new “Locking” EOS 7D Studio Version DSLR, letting professional studio operators work with the comfort of knowing the end result will be both reliable and repeatable. Hmmm, guess this means even having a kid around won’t be too much of a worry that he/she will fiddle with your controls whenever you are not around. With a quartet of lock leves as mentioned, it allows administrators to enable the appropriate level of camera functionality for any studio operation. Not only that, custom functionality management can also be achieved via each level by unlocking individual features according to operator-specific needs. Security is further augmented with a daily password that prevents anyone with a different vision from changing the camera settings as well as disrupting the overall project and workflow. The new EOS 7DSV (Studio Version) Barcode Kit (EOS 7DSV and WFT-E5A with firmware change) will retail for $2,599, while the body only EOS 7DSV (Studio Version) will cost much less at $1,829.